Ultrasound (US) is currently the standard approach for the initial evaluation of fetal anatomy and maternal conditions during pregnancy since it allows a real-time examination and is widely available and cost-effective. Magnetic resonance imaging (MRI), due to its peculiarities, can greatly improve the diagnostic performance of US during pregnancy. 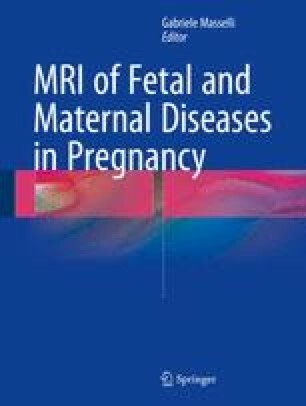 The aim of this chapter is to present some clinical conditions where MRI can improve both the counseling and the management of the pregnant patient and improve the perinatal outcome of high-risk fetuses.